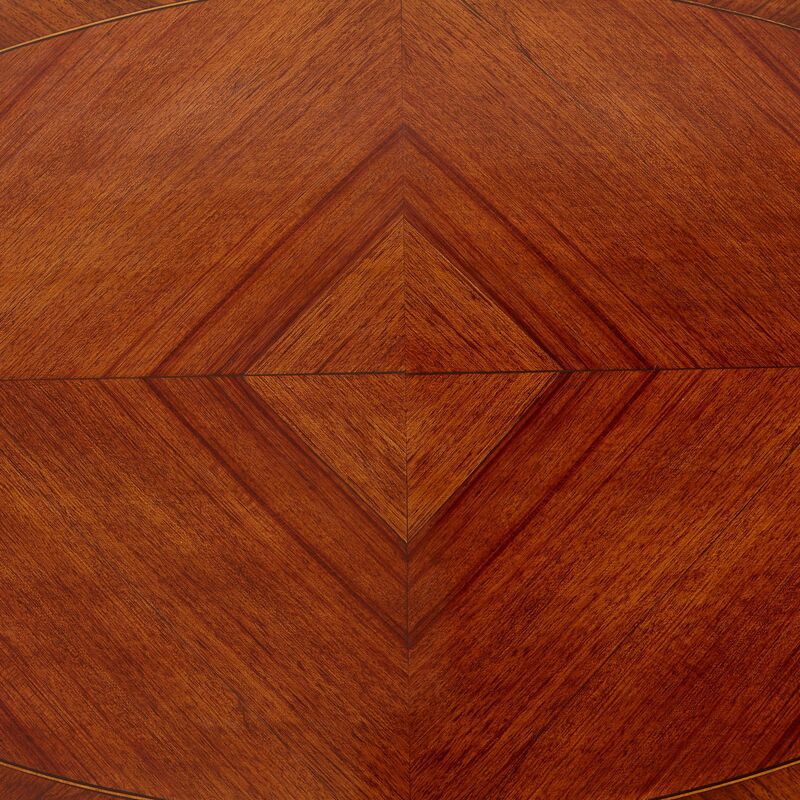 This French tea table dates from the late Belle Epoque period, and exudes the refined grace and charm that characterised this stylish age of design. This truly exquisite antique tea table would make a well-appointed addition to any luxury interior, and is notable for the exceptional quality of the ormolu mounts, as well as the masterful crafting of the mahogany. 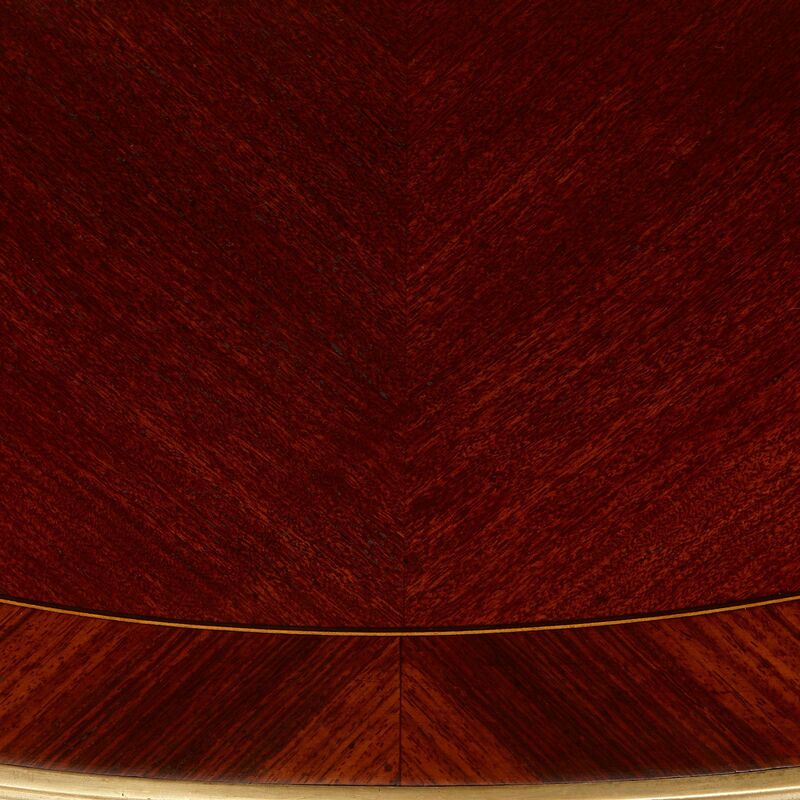 The table features two tiers, each of oval form, with the upper tier slightly smaller than the lower. 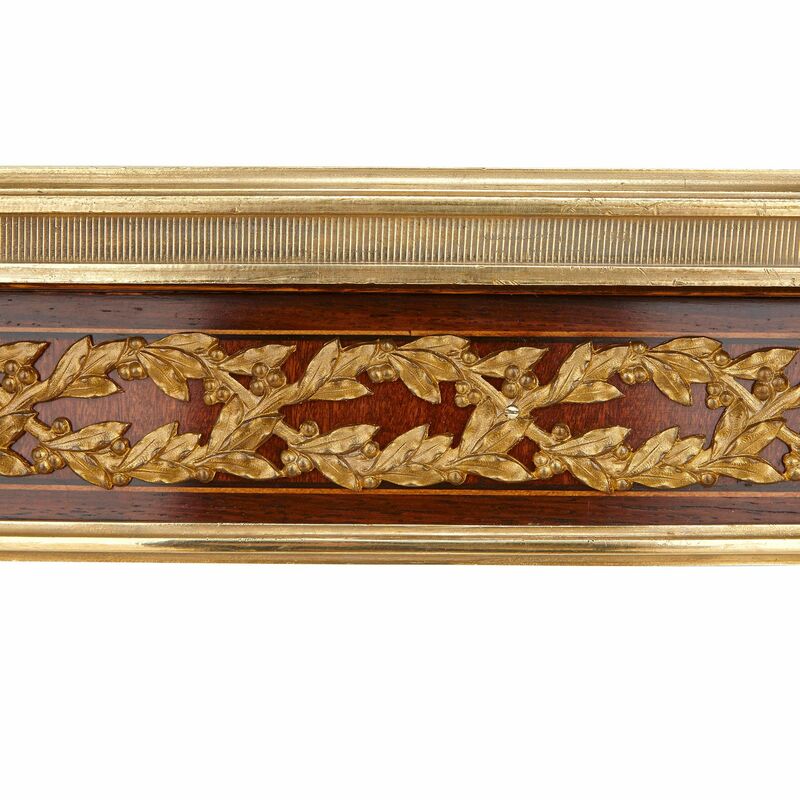 The upper tier is edged with a pierced ormolu gallery, and mounted with handles to either end. 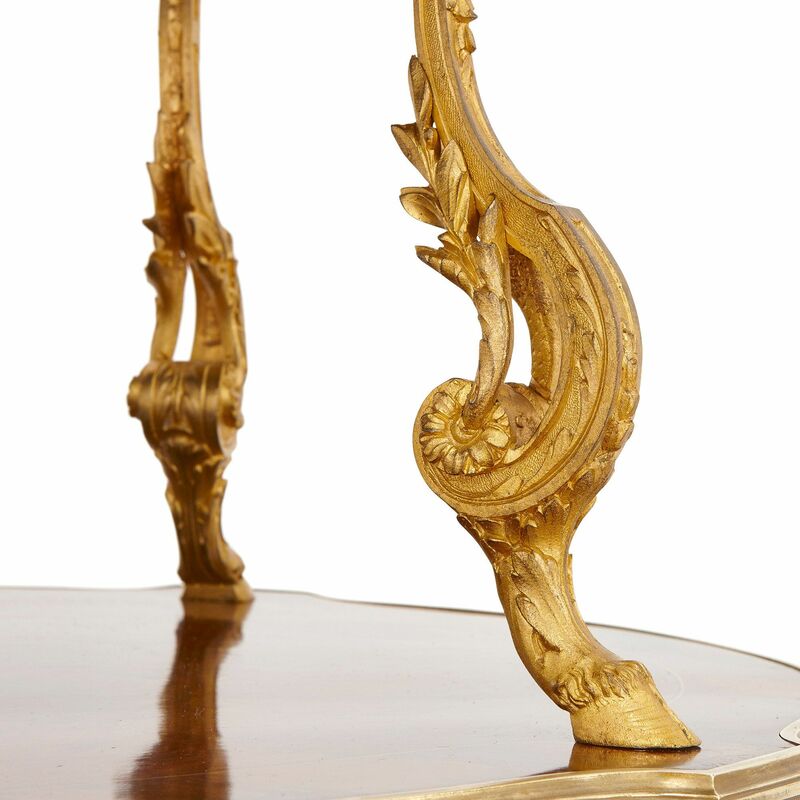 It is mounted onto the lower tier with elegant cabriole legs which take the form of intricately scrolling acanthus leaf forms, and terminate in hoof feet. 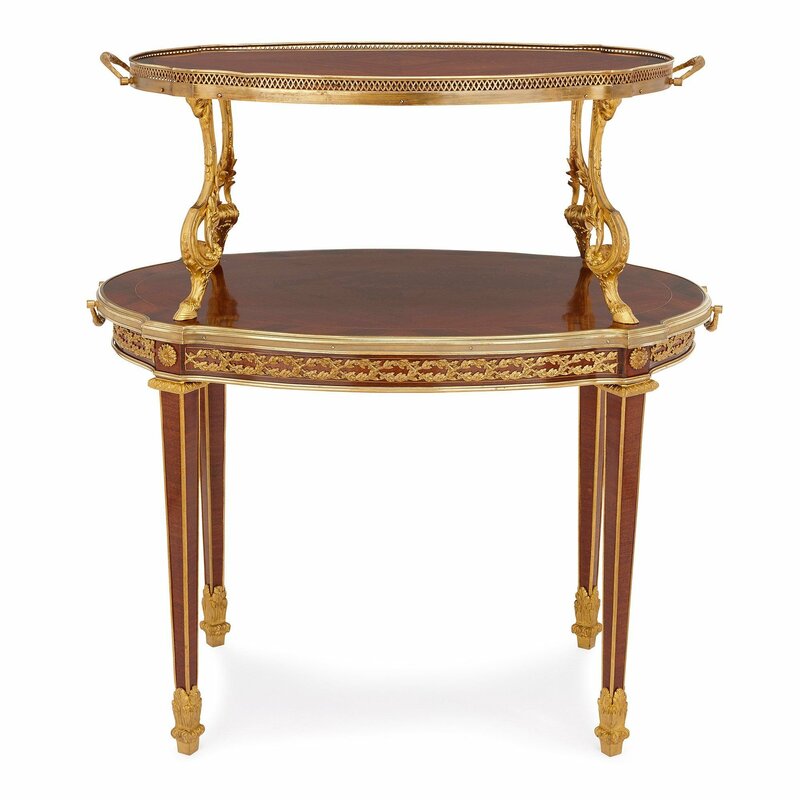 The lower table features an ormolu-mounted rim, and a frieze of entwined, berried leaves running around the edges, which are intersected with ormolu flowers at the four corners. 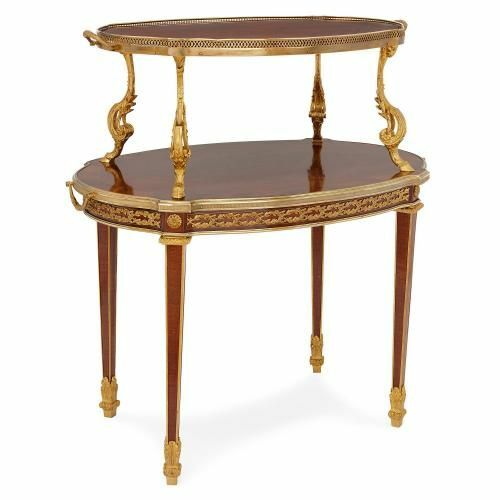 Leading the eye downward from the ormolu flowers are the four, square-form tapered legs of the table, which are mounted with corded ormolu to the corners, and terminate in ormolu spade feet that are delicately adorned with foliate designs. 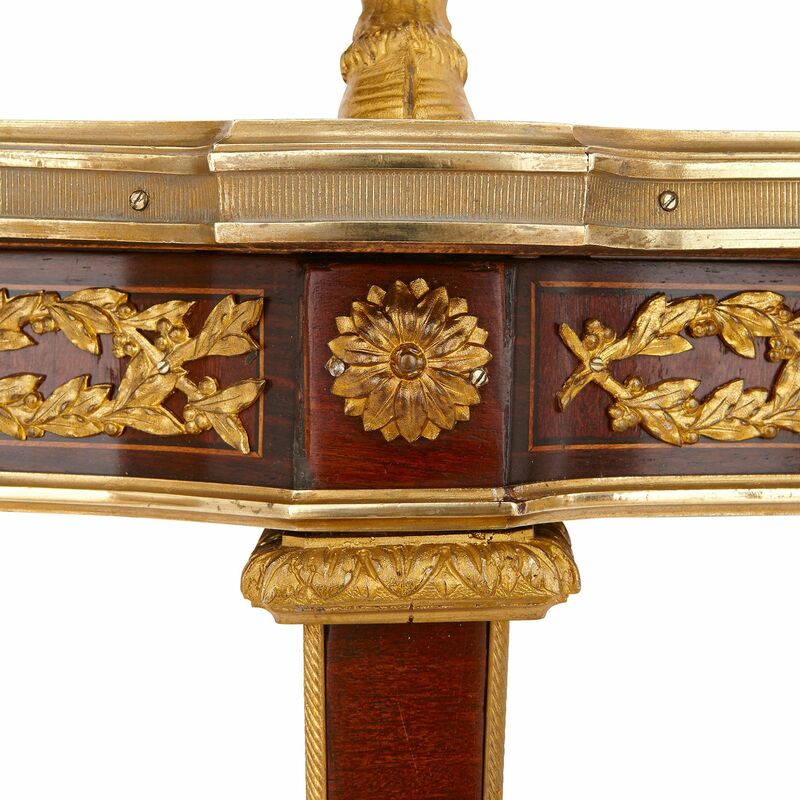 The ormolu mount to the upper table leg is marked with initials 'EM' for Maison Mottheau, a widely celebrated French design and bronzier firm established in the 19th Century.